Nebuchadnezzar II was the king of Babylon and one of the most important historical figures of Mesopotamia. He is known as the king who rebuilt and ruled ancient Babylon to glory, both through his military conquests and his massive building projects. As a controversial military ruler, he had a rather long, bloody, and wealthy rule. Here are the most important aspects you need to know about Nebuchadnezzar II’s life, creations and conquests. When it comes to kings and rulers, Nebuchadnezzar II is said to be one of the most dominant and influential rulers of the neo-Babylonian empire. Nebuchadnezzar II was the son of Nabopolassar, another Babylonian king and central figure in the neo-Assyrian empire. Nebuchadnezzar II ‘s father was actually the reason why he became so popular and revered. Nabopolassar led a massive revolt against Assyrian rule at the time, overthrowing the huge Assyrian empire in 612 BCE, thus paving the way for Nebuchadnezzar II to take the throne. 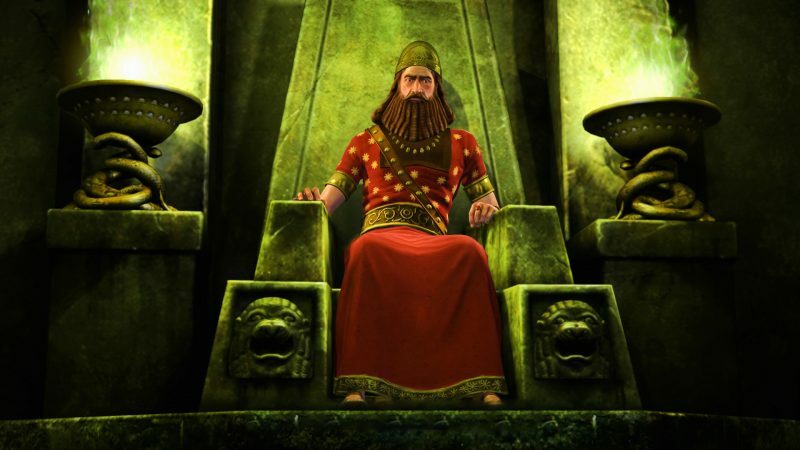 The reason why Nebuchadnezzar II was so popular and revered in the Babylonian world was because he was by far the most powerful and longest reigning king, sitting on the throne for close to 50 years. His rule lasted from 605 BCE until 562 BCE, the year of his death. Nebuchadnezzar II married a woman named Amytis of Media in 630 BCE, a marriage that lasted until 565 BCE. This was actually extremely beneficial for Nebuchadnezzar II, as it created a strong alliance between the Babylonians and the Medes. Amytis was the daughter of Cyaxerxes, the king of Medes. It is purported that Nebuchadnezzar II actually built the hanging gardens of Babylonia in order to comfort Amytis and to remind her of the Persian homeland she came from. One of the things Nebuchadnezzar II is widely recognized for is the creation and building of several monuments which helped solidify his rule and image as a very powerful man. He is credited as the man who brought Babylon from ruin and built it up to the powerhouse by the end of his rule. Nebuchadnezzar II engaged in several massive construction projects which served to increase the size, wealth, and power of Babylon. Among Nebuchadnezzar II’s most prominent creations is the Great Ishtar Gate. The Great Ishtar Gate was an absolutely monumental feat of engineering and old-world construction. It was built of glazed bricks and adorned with lapis lazuli and a lot of gold. The Great Ishtar Gate was revered for its massive size and bright color, and the fact that it was covered in jewels. In other words, when people thought of “the Great Ishtar Gate,” it reminded them that Babylon was rich and powerful. The act of building the Great Ishtar Gate was both political and defensive in nature. On one hand, it showed just how rich and powerful the king and Babylon had become while, on the other hand, it was a truly imposing defensive structure that kept the inner circle of the city safe from invaders and attackers. The other famous creation of Nebuchadnezzar II was the hanging gardens of Babylon which were considered one of the seven wonders of the ancient world. These tiered gardens formed a massive oasis in the center of the city with various different kinds of plants, vines, flowers, and more. The Hanging Gardens of Babylon were viewed as one of the most marvelous constructions of the ancient world, and as we mentioned before, was built for Nebuchadnezzar II’s wife. Rebuilding Babylon in a general meaning is considered as Nebuchadnezzar II’s greatest accomplishment. Nebuchadnezzar II’s warmongering nature made him a controversial historical figure, but there is simply no denying that he was the guy behind Babylon’s growth into a wealthy country that flourished as a military powerhouse. Nebuchadnezzar II had one of his greatest military accomplishments with the help of his Medes and Persian allies. Together, Nebuchadnezzar II, the Medes and Persian people led an army against Egyptians and Assyrians. They were occupying Syria, which Nebuchadnezzar II viewed as an integral area required for safety, security, and wealth. Nebuchadnezzar II, his Babylonian army, and his allies managed to defeat the Egyptians and Assyrians at the Battle of Carchemish, thus bringing Syria under the rule of Babylon. At the same time, through this conquest, Phoenicia was also brought under the rule of Nebuchadnezzar II and Babylon. Nebuchadnezzar II was also responsible for the exile of the Jews from Judah and Jerusalem. The king of Judah had organized a rebellion against Nebuchadnezzar II and the Babylonians, but Nebuchadnezzar II quickly quashed this rebellion. This directly led to the total destruction of Jerusalem and the captivity of all Jews who lived there. Nebuchadnezzar II also subdued massive threats from Palestine and Syria, two countries which were big threats to the Babylonian empire. He also consolidated and took all trade routes across Mesopotamia under his control, thus allowing him to manage all of the wealth that flowed through his borders. While he may be a very controversial figure, he had a massive impact on the Mesopotamian world. In this post, we tried to provide you with some general knowledge you should know about Nebuchadnezzar II including his life and most important deeds. Share the content if you liked it, thanks!